Facebook Page Verification is much harder to get nowadays. Many people search on Google, “How to Verify Facebook Page or Account” but let you know it’s not as pretty easy as you think. Facebook is well known as the world’s largest social networking platform. It provides service to create accounts and pages on it of any person, business, celebrity or public figure. 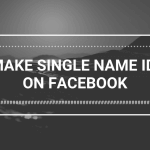 We can create our own name accounts and pages on Facebook. There are millions of accounts and pages available on Facebook, every person, celebrity has an own page and account. But Facebook has to choose one Official account & page for celebrities, public figures, media, and brands and show them with Blue Badge. 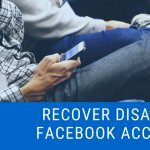 How To Verify Facebook Page With Blue Badge? Facebook has two process of verifying any official page and account -> Manual & Automatic. In manual method Page or Account Admin have to submit the request to verify his/her Facebook page or account as official and in the Automatic process, Facebook’s system will automatically detect and select official page or account. Facebook only verify pages and accounts which are categorized in Public Figures, Celebrity, Media, Website or Brands and not already verified with same name and category. So we can’t able to do anything in Facebook’s automatic process of verifying official pages or accounts but we can verify our Facebook page or account by the Manual process. But it’s also not confirmed that Facebook will verify your page or account as official because Facebook will select official page on its own decision, we can just argue with it to look up at your page for verifying it and if your page is on any celebrity or public figure and if there is already verified page on the same category, then you can’t able to verify your page because Facebook already selected official page of that Celebrity or Public figure. But Facebook can also select your page anytime by its Automatic process if it has any doubt on an already verified page. 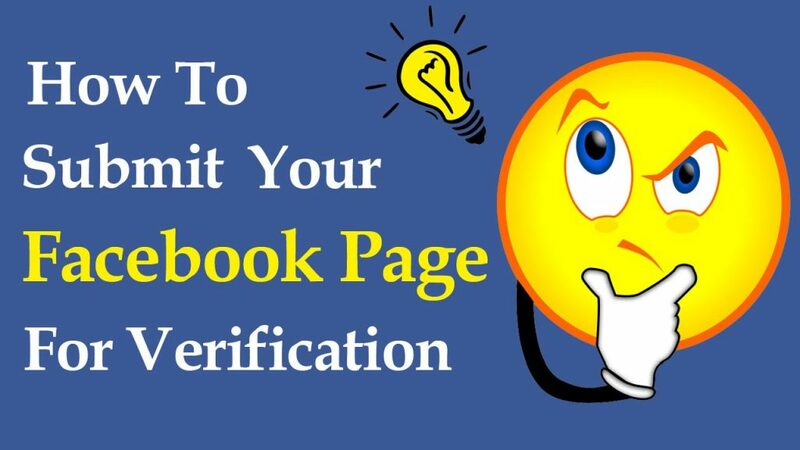 So in this article, we are going to describing Facebook page verification trick by which you can verify your Facebook page or account by a Manual process. 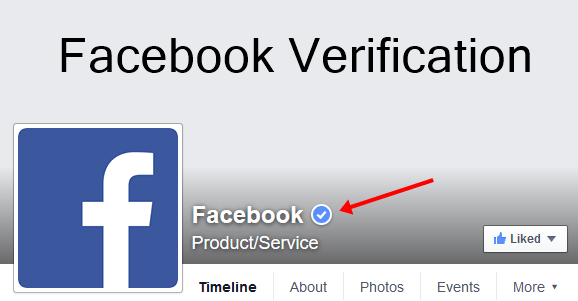 What is Verified Facebook Page or Account Means? 0.1 What is Verified Facebook Page or Account Means? There are millions of accounts and pages registered on Facebook and Facebook divided them into two categories -> Personal & Business. Personal account or page have Blue Badge in front of its name. It shows it’s the Official page of any celebrity or public figure. Not more than one page or account should be verified of same celebrity, public figure, website or band. There are the four categories whose pages and accounts are able to get verified on Facebook. If you are any celebrity or you are representative of any Big Popular brand, and you have a page of your brand, then Facebook will automatically claim your Page as verified and official by checking its popularity. So in this process, you don’t have to submit any request to Facebook for verifying your Page. There are two ways to Verify Facebook Page or Account. Let you know about First and then go for the Second one. For automatic verification process, you must need to update your page or account’s basic information. Enter accurate Name, Email, Your Bio, Website, and other information. So that Facebook will automatically detect your Page or Account as official by checking your real data and by doing this Facebook can easily know whom you are. Soon Facebook will automatically verify your account or page if they found you eligible for verification. Must link your personal website with your Page and Account. You can edit your personal information by clicking on About section from account or page. 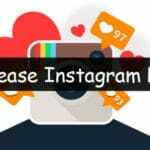 Check my picture, I entered accurate information about me like real Name, Email, Twitter username, School/College Name, Date Of Birth and all details. Facebook can also verify my account as verified if my account is eligible for verification. After entering all accurate information, you have to submit a request on Facebook for verification. Here are the steps to submit a request for page verification. At first, there is no option or form to submit any request for page/account verification but now Facebook launched this awesome feature. Facebook launched request form for badge verification. So that anyone can submit the request on Facebook to verify their page with the badge. 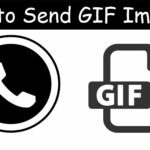 Follow these instructions to submit a request for verification. 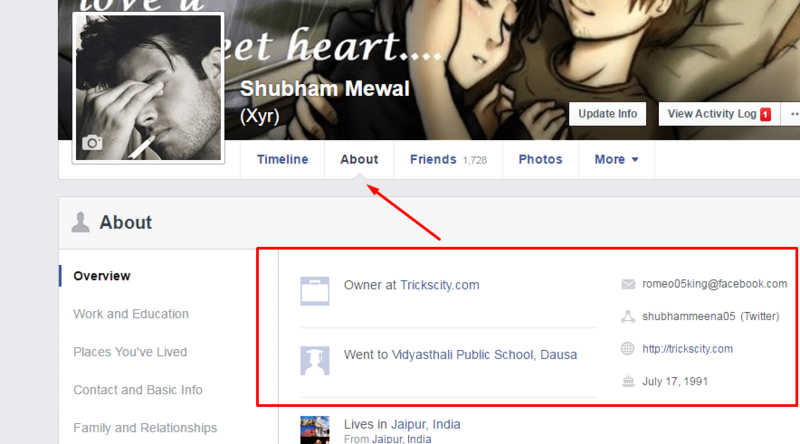 2) Before visiting Verification form, must log in with your Facebook account in which your Page is attached. 3) Select your page, upload ID proof an verification letter signed by Celebrity or Brand,s representative. 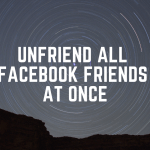 4) Wait for Facebook’s reply, it will take a maximum of 48 hours to respond to your request. This is the manual method for verifying our Facebook account or page. You just have to submit Verification Form with all accurate information and IDs. If Facebook will realize that it is the Official page, they will verify your Page with Blue Badge. So, friends, this is the method by which you can easily verify Facebook page/account with Blue Badge. It will treat as an Official page of its owner after it gets verified with Blue Badge. 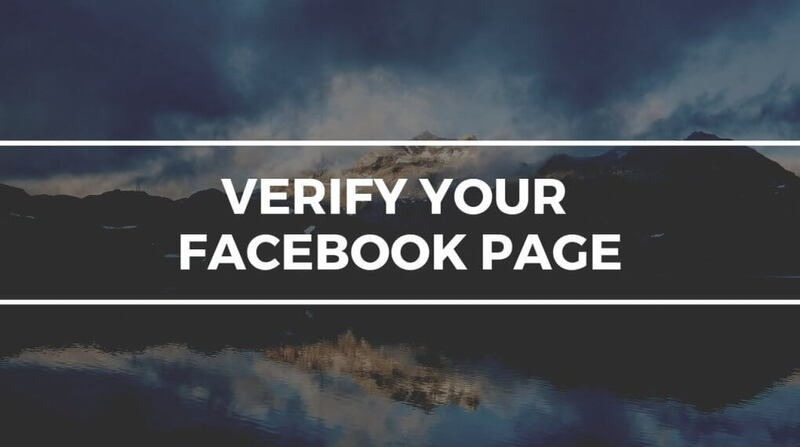 Facebook has two processes by which it verifies official pages and accounts, so we mentioned both methods to verify your Facebook page and account. You must have to enter your all accurate information in account and page before submitting the request for verification. First, at all, you need to be a Public Figure for your personal page or account verification. Normal people are not eligible for this. After that, you can easily appeal to verify your Facebook Page or Account with a blue badge on it. I hope you understood, what I want to explain. If you have any other query, feel free to comment below and let me answer all of your doubts on Facebook Page Verification trick. It is pretty simple to get your Facebook page or account verified if you are a Famous celebrity or you are popular. Else, you can also verify Facebook Page by contacting at Facebook Center in your Country. Hello, how have You done it ? What kind of documents and in what language You have sent them ? No, they don’t do anything with your page. They just refuse your verification request, nothing else. This form is for people who can’t log in to their accounts, but it looks like you’re logged in. Now, Link is updated please check again. Your verification form link is not working. What problem you are getting? Now, you have to click on Logout. How to verify my Facebook account sir please tell me please please sir reply me . How can read other people msg in my Android phone ??? Please share the link where I upload this? This is the error I get. What should be done? Hi my account has been disable for more than 2 months . I cant recover my id. Please help me . I have appealed more than 3times.